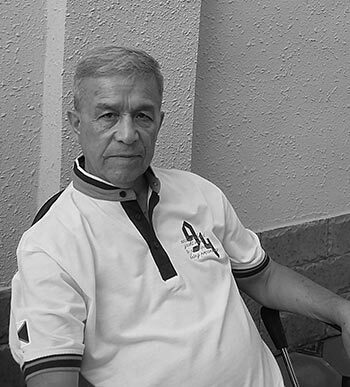 Writing for Index on Censorship magazine’s autumn 2015 issue, writer Mamadali Makhmudov explored how his life had been upended by censorship in his native Uzbekistan. Arrested twice and imprisoned for 14 years, he was released in 2013 after an international outcry. He continues to be blacklisted and his works are silenced. Now, after the death of his wife, with his health failing, Makhmudov writes to bring us up to date on the frozen situation for freedom of expression for him and his country. In 1943, my father Mahmud Ahmad-oghli, before he left for Great Patriotic War, said the following words to my mother, Saodat Izbosar-qizi: “Take care of my son. I will go to fight against Russian invaders on the German side…” I was a little baby then. But on my passport my age was written incorrectly: December 12, 1940. Place of birth: Boghdon village in Forish District (this name given by Tamerlane was actually named after Paris). The village I was born is situated at the foot of Nurota Mountains. My father was a mountain-bek. Russian invaders hanged my grandfather Ahmad Aksakal in Narvon village in 1936. This is the detailed story: During its invasion of Boghdon, the wild enemy killed men, raped women, and pulled babies out of women’s wombs. That time, Ahmad Aksakal, together with his supporters, got ready to fight at Otuchganqoya rock. Using a trick, he brought the enemy (400 Russians) to the ambush at the dark ravine and suddenly attacked them, killing part of the enemy. He took 300 hundred Russians as hostages. My grandfather was so furious that he made the enemy to crack each other’s genital organs with stone. He burned them in front of the people, saying they are “unclean blood”. Now, there are three “Russian Hills” in Boghdon. Though I know that in Judaism, Christianity and Islam, it’s not good to have bitter indignation at someone, I have a very strong desire for revenge. I finished an elementary school in Boghdon with such feelings. Later I studied at the Uchquloch gold mine (14 km far from our village) until the eighth grade. It was my childhood dream to become a writer. I had a poor living condition, but I used to ask for books by helping people around me. Despite a hard life, I found time to read books. The works by European writers such as Shakespeare, Byron, Goethe, Hugo, Scott, translated from Russian into Uzbek, were my favorite books. May God forgive me, but I sometimes I had to deceive my mother and went to the graveyard, bush or ravines to read books till late evening. In 1959-1961, I served in the army in Ukraine as a tank commander. In 1962, together with my crew, I went to Russia’s Efremov City in Tula region and worked at a chemistry plant construction. From there I was sent to chemical and automobile industry training in Voronezh for one year. Then I returned to Efremov and worked as mechanic’s assistant. May God forgive me, but I sometimes I had to deceive my mother and went to the graveyard, bush or ravines to read books till late evening. In 1964, I came back to my homeland. I worked at Chrchiq Chemical Plant as mechanic for almost three years. Simultaneously, I finished evening courses for 10th and 11th grades. In 1966, I entered the Tashkent State University’s Faculty of Journalism. Because of a tough life, I had to study by correspondence. I worked for several newspapers in Guliston, Forish and Pakhtakor Districts as a proofreader and editor. In 1968, the editor-in-chief of Saodat magazine, the poetess Zulfia, invited me to Tashkent and I have lived there since then. Based on my unchangeable faith and credo, I started writing short stories (Brook and Poplar, Horse, Hawthorn, etc.) to reveal the invader’s main purpose and ideology. They became sensation and were published in many newspapers and magazines, as well as in a collection called My Boghdon in 1971. A power of liberty able to sweep Russian invaders from Central Asia came out that time, putting Moscow in anxiety and panic. Therefore, the Kremlin started its own propaganda against it. The propaganda was full of lie and slander (whoever believes Russia and China will never be able to correct that mistake). Russia called the freedom seekers “bosmachi” and tried to quickly get rid of them. To stand for it, I wrote my novel called Foggy Days (The Wolf of Boghdon), which also was warmly received by wide public. Before my work appeared publicly, the USSR falsely described in historical books that “Russia annexed Central Asia.” I wrote it in my novel called Immortal Rocks, published in Sharq Yulduzi magazine in 1981. I wrote that Russia invaded Turkestan in exchange for the blood of millions of people. For this work, I was dismissed from my work at the Writers’ Union. They took away all copies of the magazine. And I was in the black list of KGB for a long time. If Mr. Sharof Rashidov did not help me through Brezhnev, I would never come out of the prison. Later, the novel was published in Germany, Turkey and France. I worked as the Secretary of the Writers’ Union and Chairman of Cultural Foundation. My friends know me as a person who fought for liberty. When dependent nations gained independence thanks to Gorbachyov, a Communist, pro-Russian, ignorant and dictator became our ruler. He (Karimov) left a country full of corruption, with poor economy, agriculture, industry. He turned Uzbekistan into a big prison. He arrested freedom lovers and honest business people. Ethical norms were completely violated in the country. Eight million people left the country because of oppression, hunger and persecution. On fabricated charges (they put heroin, leaflets in my workplace and house) I was sentenced to 17 years in prison for allegedly being a member of Erk Party. I wrote several novels and short stories in the prison, but they took my work away. I hardly was able to get some parts of my novels such as Oynur, Oq Gul, and Bo’z Bo’ri. In 2013, when I was released with the help of US Secretary of State Hillary Clinton and European humanitarian organizations, I rewrote those books. Oynur and Oq Gul are about that black history of the USSR and KGB. Bo’z Bo’ri is about the Arab invasion of Turon, their ruthless attacks, destructions of intelligentsia and other oppression. It’s about Muqanna, who bravely fought against those invaders. These books, along with my other articles and essays, are published on websites based in Europe, Canada and the United States. I lost my health in prison, where hundreds of people die. I have had three heart attacks. I have ulcer in my stomach and my eyes have some other problems (cataract). I have six stones in my kidney. In short, I am in a poor health condition. First of all, I need to have a stimulator installed in my heart. But I have no money for that, since we barely survive. Within 17 years, my family has been in debt. Despite working for state organisations for 40 years I receive a pension of just 179,000 UZS. And I even had to struggle for that for seven months. I don’t have enough means to buy medicine either. My books are not published in my own country. I am a banned author and I am always under surveillance. When I was released, some humanitarian organizations in Europe and U.S., PEN Club and my friends supported me and we could get rid of 70% of our debt. Recently, my spouse Gulsara Mahmud died of heart attack. We are again in debt now. Life is difficult. Nevertheless, I am writing the truth, only truth.